Sure, Instagrammable latte art is pleasing to the eye, but sometimes all we want is high-quality coffee that tastes really good. 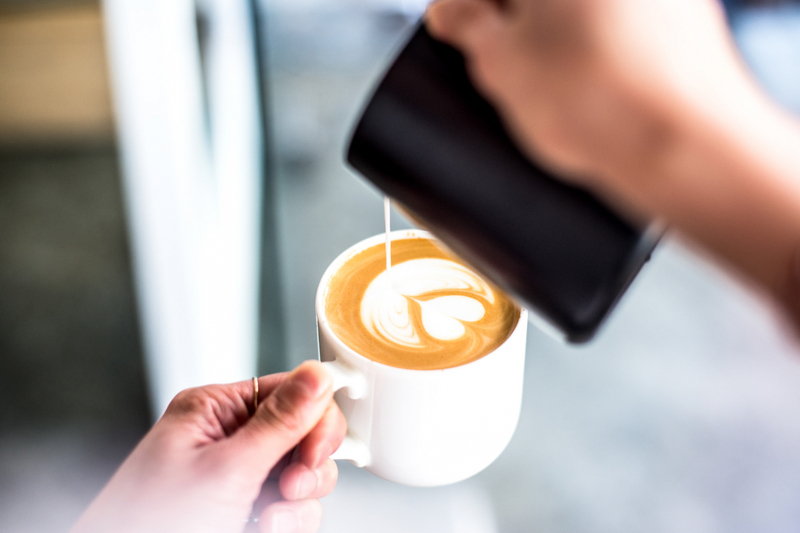 And thanks to Hong Kong’s budding coffee culture, there are now an abundance of choices to get artisanal brews from the best baristas in town. Whether your go-to cup is an espresso, ristretto or a flat white, find the best part of waking up at the city’s best coffee shops below. As the name would suggest, this Causeway Bay coffee shop provides something of a coffee-cure for city dwellers. Occupying a bright and tranquil space that’s easy on the eyes, Elixir is a welcome retreat to get your brew on. Think of it as a place for the non-alcoholic kind of drinkable therapy. Selected beans are imported from all over the world, including an Ethiopian and Colombian house blend that hits the spot, as well as new beans that come in for their cold brews and drip coffee, most often from Kenya, Guatemala and Peru, amongst others. The Cupping Room was one of the first independent coffee shops to open in Hong Kong; today, it’s a widely-regarded coffee haunt with four locations that all provide a cosy and casual environment to frequent. Seasonal beans are sourced from farms all over the world and are brought to Hong Kong to be roasted at their very own roastery in Po Hing Fong, enabling their signature sweet, smooth and aromatic roast style in each cup of coffee. It certainly doesn’t hurt to have barista champions crafting your coffee, either. Opening hours: 8am–5pm on weekdays; 9am–6pm on weekends and public holidays. Another café-bar hybrid to grace the city is Fineprint, a cool spot in the middle of SoHo’s Peel Street, overseen by former Australian barista and latte champion Scottie Callaghan. Serving up specialty coffees by day and carefully curated beer, wine and liquor selections by night, there’s every reason to visit this sleek copper-clad space. Currently offering one of the smoothest coffees we’ve ever tasted by Redback Coffee, Fineprint is set to open a second location in Tai Hang this November, and they’ll soon start roasting their own beans, too. Opening hours: 6am–10pm on Monday–Wednesday; 6am–12am Thursday-Saturday; 8am–6pm Sunday and public holidays. The retro cinema sign on the exterior of this coffee shop has it right: the star of the show is indeed the coffee. Following the Antipodean method of extracting and pouring coffee, Winstons uses Allpress for their house blend, pouring a balanced espresso that is sweet and complex with beans from Brazil, Colombia, Guatemala and Sumatra. Behind it is the technology for hot air roasting, which means the beans are evenly roasted with no scorching or tainting from residual smoke, producing a cleaner tasting coffee. Plus, they make our other favourite ‘C’ word (cocktails), including a mean espresso martini that will definitely keep you going. Opening hours: 7am–11pm daily, except Mondays 7am–6pm. The espressos at Fuel are known for a powerful caffeine kick, which is exactly what you need during weekday work breaks and weekend shopping trips. It’s just as well that some locations are situated in the city’s high-end malls, then. Celebrating a decade in Hong Kong this month, two new unique single-origin coffees have been launched and are now available at all five outlets: The India Coorg Estates (fruity with touches of chocolate, nut and spice) and Ethiopia Sidamo Shakisso (a bold roast boasting citrus and cocoa notes). We’ve also heard that there are plans to launch more single-origin roasts, so we’re sipping while we wait to taste more. Opening hours: 7:30am–7:30pm on weekdays; 10am–7pm on weekends. Championing the birthplace of coffee, Africa Coffee & Tea supply coffees and teas from across Cameroon, Kenya, Uganda, Ethiopia, Democratic Republic of Congo and Rwanda while supporting small farms and cooperatives to provide and empower the livelihood of African women. (Talk about a coffee that feels as good as it tastes!) Using premium single-origin beans for their handcrafted coffee, the resulting espresso is a full bodied and rich tasting coffee, which seems to accentuate the warm and lively African-themed interior. Opening hours: 9:30am–8pm on Monday–Wednesday; 9:30am–9:30pm on Thursday–Friday; 10am–6pm on weekends.